A lovely Spring woodlander, with luminescent yellow/green flowers. Growing to around 30cm tall and wide, the flowers emerge in February and gradually extend out till around April. With cut mid green foliage all the growing season. An ideal companion to early Spring bulbs. 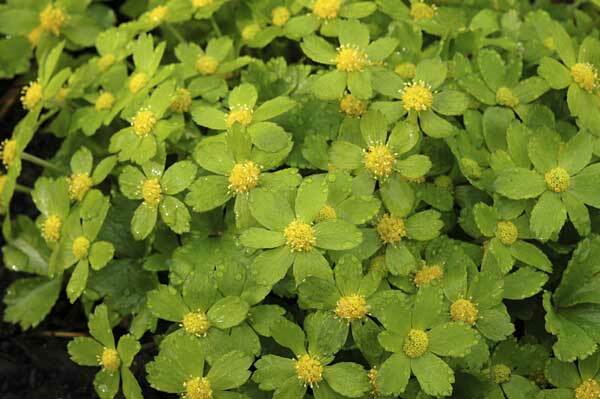 Easy to cultivate in any deciduous shade, but not suitable for the very driest evergreen shade. They are good natured and prefer to be left undisturbed.